Kodak EasyShare z740 Zoom Digital Camera Software and Firmware for Operating Systems. KODAK EasyShare z740 Manual and Extended user guide – Click here. 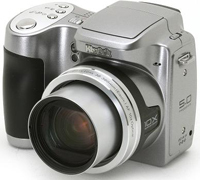 , and filed under Digital Camera and tagged camera, download, driver, easyshare, easyshare z740 software, kodak, kodak z740 driver, kodak z740 firmware, kodak z740 software, mac, windows, z740.